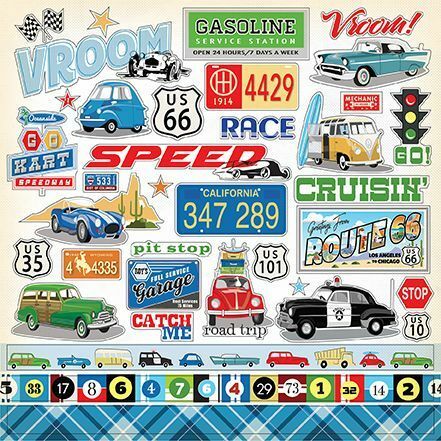 This 12x12 Sticker Sheet is sure to speed up your Travel Projects full of Labels, Shapes, Phrases & More. Part of the Cartopia Collection by Carta Bella. Look for coordinating Designer Papers.